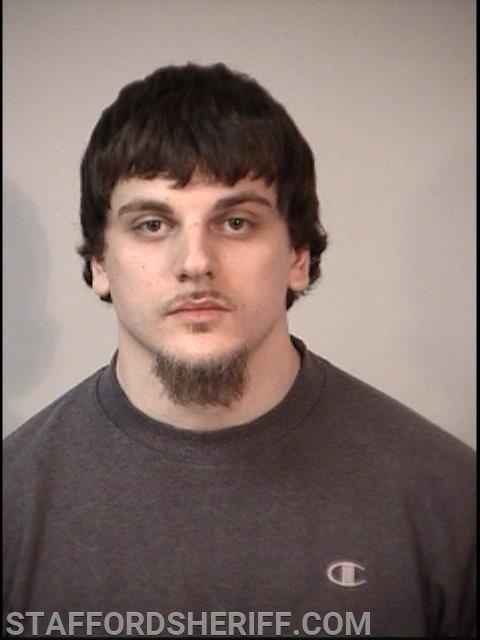 Stafford, VA. A suspect involved in a domestic incident was arrested on Wednesday night by units with the Stafford County Sheriff’s Office following a brief, low speed pursuit. On April 3, 2019, at approximately 9:29 p.m., Sgt. Aubry responded to a reported domestic incident in progress involving a male subject and female subject at a residence on the 700 block of Edwards Drive. Upon arrival in the area, the sergeant learned the male subject had left the residence in a gold sedan traveling in the direction of Deacon Road. Sgt. Aubry located the suspect vehicle and attempted to conduct a traffic stop at the intersection of Sullivan Drive and Edwards Drive. He activated his emergency equipment, but the suspect vehicle continued traveling. Eventually, it came to a stop; however, as soon as Sgt. Aubry exited his vehicle, the suspect vehicle began moving again. The vehicle continued traveling under 20 MPH for approximately one-tenth of a mile, but thanks to the quick actions of Sgt. Aubry and 1st Sgt. Rakoczy, the vehicle was boxed in and stopped. Sgt. Aubry and 1st Sgt. Rakoczy took the suspect into custody. He was identified as Guy Castonguay, 26, of Fredericksburg and he told them that he was intoxicated. Units observed an open alcoholic beverage container in plain view in the suspect vehicle. A preliminary breath test was administered. In the meantime, Deputies Fulford and Richardson responded to the residence where the domestic incident occurred and made contact with the victim who was visibly distraught. She said Castonguay had strangled her and punched her during an altercation. He also took away her phone. Eventually, she escaped into the backyard and called 911. The suspect then grabbed an alcoholic beverage and left the residence in a vehicle. The deputies obtained warrants on Castonguay for strangulation, abduction, and domestic assault and battery. In addition, Sgt. Aubry served him with warrants for eluding, assault on a law enforcement officer, driving under the influence, and open container. He also received summonses for traffic offenses. The suspect was incarcerated at Rappahannock Regional Jail without bond.